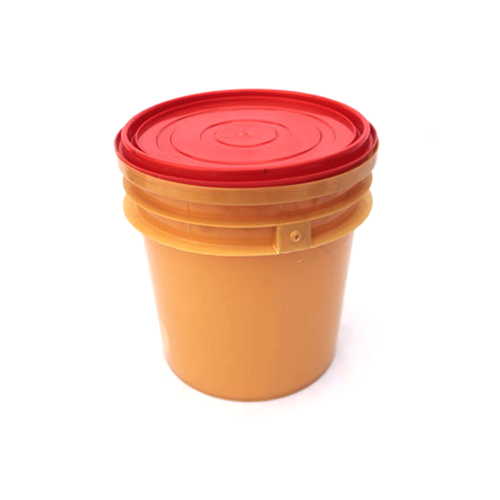 Matching up with the requirements of our clients, we are involved in offering Lubricant Plastic Bucket. Founded in the year 2010, S. D. Polycraft is one of the leading companies in market. Ownership type of our corporation is sole proprietorship. The head office of our business is located at Bawana Industrial Area, Delhi. Reckoned as one of the emergent companies of the industry, we are extremely immersed as a manufacturer of Paint Containers,Lubricants Container, Food Container, Storage Container and many more. Quality and total customer satisfaction is always assured by our organization. As a result of this, we have successfully expanded our networks and placed our name in the list of top-notch firms of industry.